Francis “The Predator” Ngannou is the talk of the MMA world right now, after his devastating KO win over Alistair Overeem at UFC 218 and just today his UFC title fight has been loosely scheduled for UFC 220 against current champion Stipe Miocic. Many are saying it was the most brutal KO punch they have ever seen in MMA, I personally cannot say that with as much definition because I have seen so many violent KOs through my eyes in my life – but without question this has blasted into the top 10 KOs in UFC history. Not only do I think Francis Ngannou can be the next UFC Heavyweight champion, I truly believe the man can crack a new market for the UFC owners throughout Africa, if or when Francis gets the title I personally think UFC Africa will be a certainty and it will be a big success. Where does the man come from? Well right now according to Dana White Francis is basically living at the UFC athletes HQ and is obviously making shock waves through MMA with his dominant 11-1 record in MMA, 6-0 in the UFC. In amongst this chaos, Francis had a strong and reckless father who had a reputation as a serious street fighter – he worked long hard hours in poor paying jobs as a teenager and many gangs approached Francis to ask him to join them. He would always refuse and instead foucsed on starting a boxing career at 22 years old – his family were reluctanat at first and then after a year Francis had to stop training due to an illness, and he did random odd jobs to scrape by. Then at the age of 26, he moved to France with no money, no friends, no house – he was living on the streets in Paris for a while when he first arrived, but in 2013 he started training for free under Fernand Lopez Owonyebe at the MMA Factory and that’s where the MMA journey began. Fast forward to 2017 and through his intent, his physical strength and ascending MMA skills, he now lives in Las Vaegas predominantly training at the UFC athletes retreat. Where is this man going? The sky is the limit, I personally do not see many heavyweights being able to stop Francis Ngannou right now, many are sceptical and I understand this, but similarly to Conor McGregor, GSP, Rose Namajunas, or any number of fighters that have been counted out and gone on to show the world what they can really do. The fear that Ngannou can strike into his opponents will be immense at this point considering how hard the man hits, but in all honesty we have yet to see how Ngannou deals with a wrestling heavy game like Stipe Miocic. Or how is his cardio past the second round? Its hard to tell when the guy keeps finishing people so quickly, but again it could be Stipe that tests Ngannou like none before. But In reality I think that Ngannou will defeat Stipe, claim the throne as the UFC Heavyweight champion, being the first to hail from Africa, and I also would not be surprised that If Francis does win the title, that he may end up going on a record breaking title defence run to become a UFC legend. I hope you have enjoyed today’s post, and if you have any comments, questions or feedback then please post some below and I will get back to you asap. Awesome site! 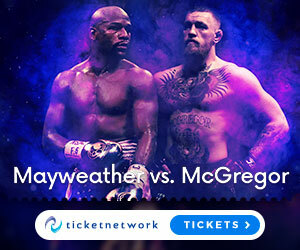 I love MMA, so your site is right up my alley! I really like how you have video clips and affiliate links, so it is informative and money- making, completely engaging and one that I will return too more often! I would like to use some of the ideas you have, such as affiliate links on my own site when it is better set up. A lot of work has gone into your work, it definitely shows! Hi there, glad you like MMAGateway because it is the best MMA website in the world 🙂 hope you can build your website up well! If you love MMA then make sure you learn about rising star Darren Till. I am learning Muay Thai right now and it is very fun, but I am thinking of getting into something like MMA. Francis Ngannou is a great person for me to watch and learn from. He dominates through his aggressive fighting style. I do have a question though. With someone like him hailing from Africa, how do you think that will change UFC if he becomes the champion? I look forward to hearing your answer. Hi Alex, great to hear your learning Muay Thai right now, its a great martial art! But yes Francis Ngannou is a special athlete that dominates every opponent he faces. If Ngannou becomes the champion I see a UFC Africa event happening, which could be legendary and also I think Ngannou could be the longest reigning UFC Heavyweight champion ever. You should check out Darren Till to see another future star and also if your training Muay Thai make sure you have a quality mouthguard. The MMA sport is now getting very popular and i see that many fighters from other combat sports are now learning the sport. I have watched some matches on Youtube and it is more enjoyable than just plain boxing or wrestling, as you need an all round ability. looks like a am now a keen fan. Hey Andrew, nice to see you here! Well it sounds like your getting hooked to MMA, so this website will give you everything you need to stay ontop of whats going on. Francis Ngannou is possible to be the next UFC Heavyweight champion, if he does you might want to immortalise the event with a great bit of art!